Higher amounts of carbon dioxide on Earth have resulted in a surprising consequence. According to a recent study conducted by an international team, the planet is getting greener as a result of a phenomenon called "CO2 fertilization." 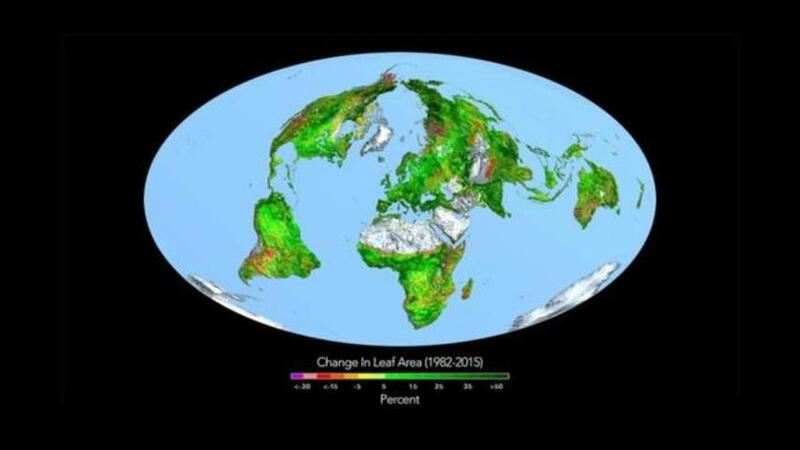 In fact, a BBC report about the research notes, "if the extra green leaves prompted by rising CO2 levels were laid in a carpet, it would cover twice the continental USA." The boost in growth happens because the increased gas causes more sugar, a key formation agent, to be produced by plants. As a result, the research shows "a persistent and widespread increase of...(greening) over 25% to 50% of the global vegetated area." While several potential drivers of this shift were tested including climate change, CO2 fertilization was shown to "explain 70% of the observed greening trend." Despite the apparent benefits, the team warns that this effect will likely not last and that the extra greenery is not enough to outweigh the negative consequences of rising sea levels and ice melt, among others.